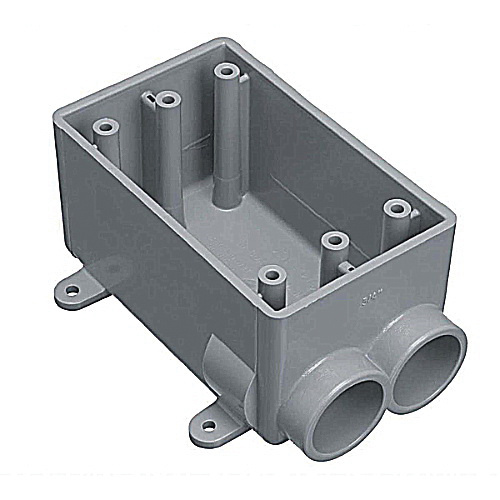 Thomas & Betts Carlon® 1-Gang FSC Device box in gray color, is suitable for multiple dead end circuit terminations or where additional support is required in stub-up application. This device box with two 1-Inch hubs, features PVC construction. It has a dimension of 4.54-Inch x 2.80-Inch x 2.30-Inch. This device box has a cubic capacity of 18-Cubic-Inch and features detachable mounting feet for easy installation. Device box is UL listed and CSA certified.